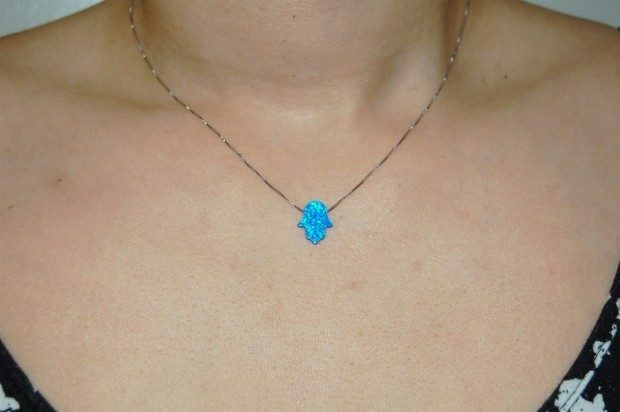 Opal Hamsa Sterling Necklace Only $12.99! You are here: Home / Great Deals / Opal Hamsa Sterling Necklace Only $12.99! Not only is this necklace gorgeous, but the Hamsa shape is a protective symbol! Grab this beautiful Opal Hamsa Sterling Necklace for Only $12.99!